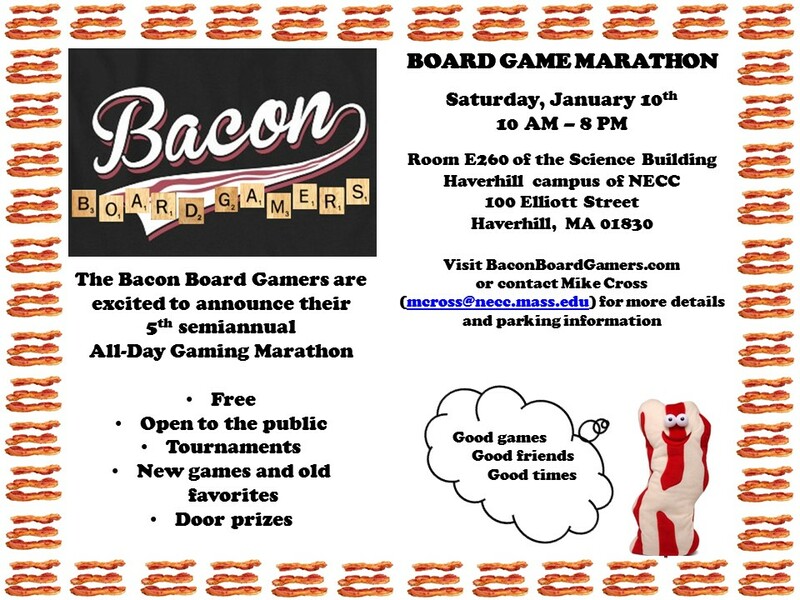 The Bacon Board Gamers are excited to announce their 5th semiannual All-Day Gaming Marathon! Posted on December 30, 2014, in Uncategorized. Bookmark the permalink. 1 Comment. Excellent day of gaming, and I won a Bacon Boardgamers T-shirt.